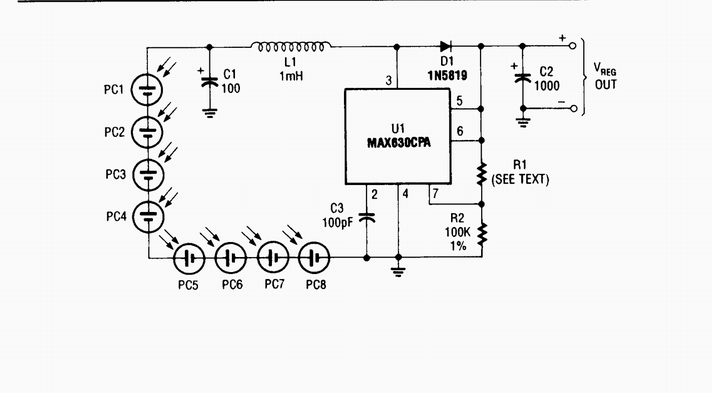 This circuit delivers either 4.8 or 7.2 V regulated at 15 mA with a 3-V input from a bank of photocells. Rl should be 453 kQ for a 7.2-V output and 274 РЁ for a 4.8-Vdc output. Regulator efficiency is around 70%. This should be considered when selecting suitable solar cells.